Due to the discrepancy in the Torah reading between Eretz Yisrael and Chu"l we will feature a dvar Torah on both Parashot. One of Judaism’s greatest foundations is the cycle of the Jewish calendar. A cycle on which the Rambam’s teachings suggest the very existence of Judaism depends on. The Ramchal, towards the end of Derech Hashem, teaches that each festival has a special light and influence which it brings upon the people, and it is at that point when we can reach the special potential that a festival brings with it. We are familiar with the idea that Elul, Rosh Hashannah and Yom Kippur, are days in which we should be dedicating our service of Hashem to self reflection and to do teshuva, repentance, and getting closer to Hashem, as it is then when these are more required and most achievable. The Ramchal teaches that each festival in the Jewish calendar has its special attribute and we should be dedicating our service of Hashem to that attribute. Pesach is the time in which we focus on achieving a higher level of freedom, and Shavuot on receiving the Torah. The month in between the two is the month of Iyar. This month seems a little neglected, coming between two of the three Pilgrimages and having no biblical festival of its own. However, the period of the Omer is not celebrated as a Chol Hamoed, and the emphasis we give in these days is not the attribute of immersing in purity. These days have become days of mourning. Grief in Judaism is mostly regarding loss of potential. In the period of the Omer, we mourn the death of Rabbi Akiva’s 24,000 talmidim (students) who died at this time. Many attribute their death to the fact that they did not honour one another. The mourning is regarding the loss of Torah scholars. The majority of the Oral Torah we have today came from Rabbi Akiva’s five new talmidim, after the 24,000 had died. One cannot even begin to imagine the level of Torah knowledge, study and love we would have had, had all his talmidim lived. Another explanation of their death was that they died on the battlefield when Rabbi Akiva sent them to fight with the Bar Kochba rebellion. The lost potential here is not only their lives and the Torah they could have passed down, but also the potential of achieving independence. This could have been Yom Ha’atzmaut. Though the rebellion achieved three years of independence, the sad end was that hundreds of thousands died and 1,800 years of bloodshed and exile began. The fighters in this rebellion were the last to have genuine gevura, heroism. It took 1,800 years until a new generation emerged, a generation which had tremendous gevura both in the battlefield and in the diplomatic field. When the state of Israel was declared, it was the end of the ‘apologetic’ Jew and the beginning of a new era. It seems to be no coincidence that Lag Ba’Omer, which marks the gevura of Rabbi Akiva’s talmidim, and Yom Ha’atzmaut, which marks how our generation succeeded where they did not, both fall in Iyar. The essence of the month, which has been hidden for so long, has now been revealed – it is a month of gevura, of Jewish pride and of fighting for what we believe in. When we mourn in the Omer, we are mourning the loss of that potential, the end of that gevura and when we rejoice on Lag Ba’Omer, Yom Ha’atzmaut and Yom Yerushalayim, we are rejoicing the gevura of our nation, attainable in the month of Iyar. 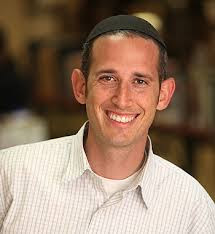 Rav Jake Vidomlanski, former Shaliach in Cleveland (1998-1999), currently Ram at Yeshivat Lev HaTorah and Sgan Rosh Moshava IO. Parashat Behar is dominated by the laws of Yovel (laws of the Jubilee year) and their nature. Ultimately what marks the Yovel is that it reverses various acquisitions that have transpired since the previous Yovel. Land that was sold is returned to its original owner, slaves that were hitherto indentured are set free. Broadly speaking, these laws express God’s jurisdiction and dominion over the world. The Chizkuni suggests that the reason for the disparity lays in the fact that fields are the source of man’s sustenance. As such the Torah makes stipulations on land sales to insure that man will not lose the source for his provenance. On the other hand, a house, does not generate income and as such may be sold in perpetuity (chizkuni 25:29, see also the Orach Chaim for an inspiring exposition on these psukim). Ultimately, according the Chizkuni, it is a matter of practical financial considerations. Rav Amnon Bazak of Yeshivat Har Etzion suggests an alternative understanding. If it is true, as we suggested, that the framework of Yovel is to demonstrate God’s dominion over the world, why do the fields have to revert to their previous original owners? Why don’t the fields simply become ownerless? Rav Bazak proposes that it is because initially the fields were given to their original owners by The Master of the Universe: “You shall give the land as an inheritance by lot to your families; to the many you shall increase its inheritance and the few shall you decrease its inheritance. Wherever its lot shall fall, his shall it be…" (Bamidbar 33:54). The act of the fields returning to their original owners is in fact a recreation of the primary division that was divinely orchestrated.